Homero Ponce-Lopez worked for the City of Houston for over 31 years. At the age of 21 he started as a Fire Fighter at Station 23 and in 2004 Homero was promoted to the rank of Captain. He worked at the 9-1-1 Center, then he was assigned to Fire Station 40 as a Captain. In the last 7 years before retirement, he was assigned to the HFD Public Affairs Office as a Manager and Public Information Officer. 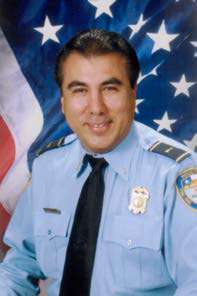 Homero retired as a Captain in February 2011 and is presently working in the City of Houston Public Safety and Homeland Division as a CERT Coordinator. Homero joined the University Area Rotary Club in 2010. In 2009, he saw the need to have a small home for ill or injured Fire Fighters. His vision was to have a home where Fire Fighters could stay at low cost or free of charge when they traveled to Houston to receive medical or cancer treatment. The idea was to use a portion of his retirement funds to buy a used 3 bedroom wood-frame home and fix it up and to make it ADA compliance. He mentioned his idea to Art Bautista, past President of his Rotary Club. Art immediately said: "We are going to make it happen, but if we put our name on a building is not going to be a wood-frame home. It has to be a building." From there, the idea was presented to his Rotary Club and now, with the help of his fellow Rotarians, Captain Ponce's dream of the Fire Fighters Rotary Home moved from being a dream to becoming a reality.